Today, the All Progressives Congress (APC) in Lagos state, will pick their governorship candidate for next year’s elections. 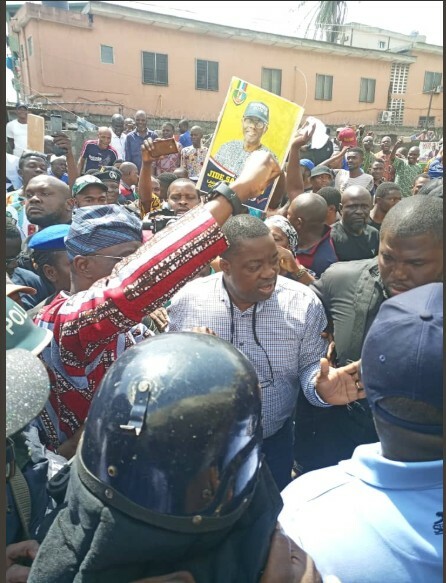 The two major aspirants are incumbent Governor, Akinwunmi Ambode and Babajide Sanwo-Olu. 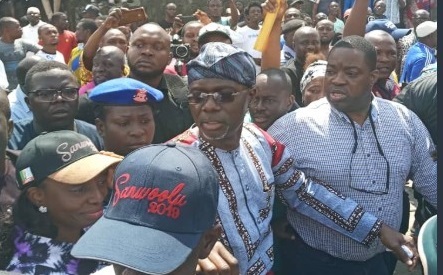 Ambode is fighting a tough battle to remain in office for another four years, as Sanwo-Olu has the backing of Ahmed Bola Tinubu, the National Chairman of the party. 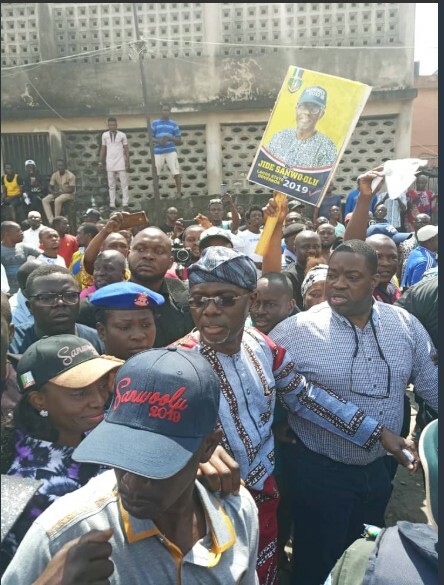 Meanwhile, there was a massive reception for Sanwo-Olu as he turned up at his ward, ward E3 Lagos Island to caste his vote in the Lagos APC Primaries.